A diet that helps in autism spectrum disorders. And other conditions such as diabetes, epilepsy and Alzheimer’s disease. Plus, you can eat bacon. 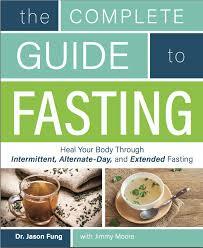 In ‘The Complete Guide to Fasting’, the authors talk about the importance of feasting and fasting. In most traditional cultures there are both feasts and fasts. They balance each other out. But in our culture the fasting side is ignored and we feast, feast, feast. And then we get Type 2 diabetes and die. Or, if we are lucky, we learn about ketogenic diets and Intermittent Fasting and live. 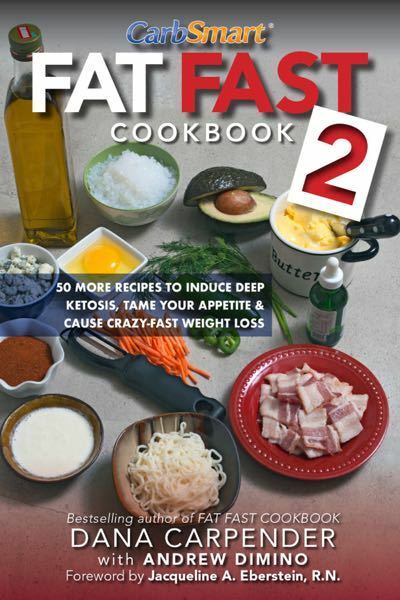 The authors of ‘The Complete Guide to Fasting’ recommend a ketogenic diet for your eating periods. A ketogenic diet has been scientifically proven to have a number of health benefits— unlike the low-calorie/low-fat fad diet which has been shown in scientific studies to slow your metabolism and raise your blood sugar. One thing you need for your ketogenic diet is some good recipes so you can make some food that is permitted on your diet and tasty. The hardest part of ketogenic is that most of us have to start cooking our own meals. 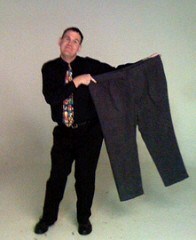 Dr. Atkins in his diet books claimed that you could order what you want at restaurants. We don’t have that kind of restaurant where I live. 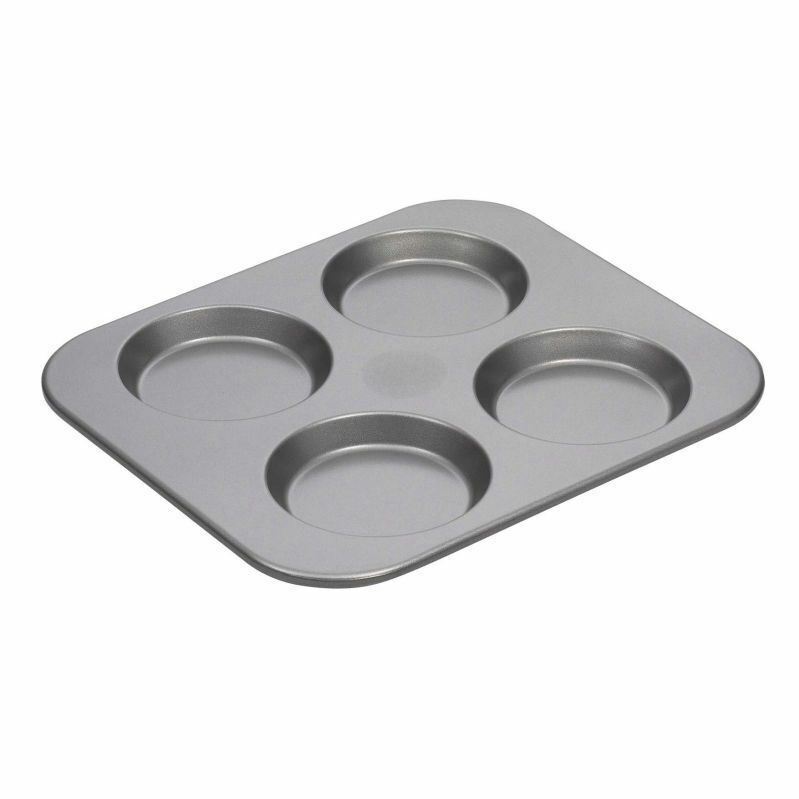 The restaurants I used to go to had amazing levels of trouble just remembering not to bring me toast or muffins when I asked them not to. What I most need is recipes I can make again and again. I used to always make up a batch of devilled eggs for ketogenic meals. I made some with cheese and bacon bits added to the yolk mixture. Then I used to make a recipe with tuna adapted from a recipe in one of Dr. Atkins’ recipe books, for ‘fish loaf’. I’ve adapted a lot over the years and now add in a bit of mushrooms and a small amount of peas. That makes the ‘tuna loaf’ taste a bit like my mom’s tuna casserole. I have a few other recipes that are my staples. But it is hard to make my own keto meals nearly every day when I’m not fasting. I’ve always been planning to try freezing portions of some recipes to reheat on days when I can’t stand cooking but I haven’t gotten to doing that yet. I’m not one of those super-organized kitchen women. Lately what I have been making often is crustless quiche. I’ve made several variations— one with bacon bits, one with mushrooms, and one with some shredded Gouda cheese for the cheese portion and some tuna. Intermittent Fasting really helps because it cuts down on the number of meals I have to cook. Frankly, I’d rather make some hot tea in the morning than cook something and have to clean up after myself. Intermittent Fasting: You are already doing it…..
Podcaster Jimmy Moore sometimes says that talking about fasting is like using another f-word in church. Not very popular. But the fact is that Intermittent Fasting— fasting for less than a day— shouldn’t be so scary. We all do it. Let’s think of someone with the worst eating habits ever. This person snacks during most of their waking hours. But this person takes a break from eating every night during sleep. So– let’s say this person snacks from dinner until midnight and goes to bed. Wakes up just before 6, and by the stroke of 6 has breakfast-food in the mouth. Bad, huh? But that person has just done intermittent fasting from midnight to 6. A six-hour fast! Intermittent fasting is about increasing your non-eating hours. Many people on an Intermittent Fasting plan skip breakfast. Biologically, breakfast-time is our least-hungry time of day. You can also increase your non-eating hours by stopping eating after supper— cutting out those post-supper snacks. By stopping eating at 6pm after dinner, and not starting eating again until the next day’s lunch, you cut a number of eating hours out of the day. There are a lot of health benefits from fasting, including intermittent fasting. 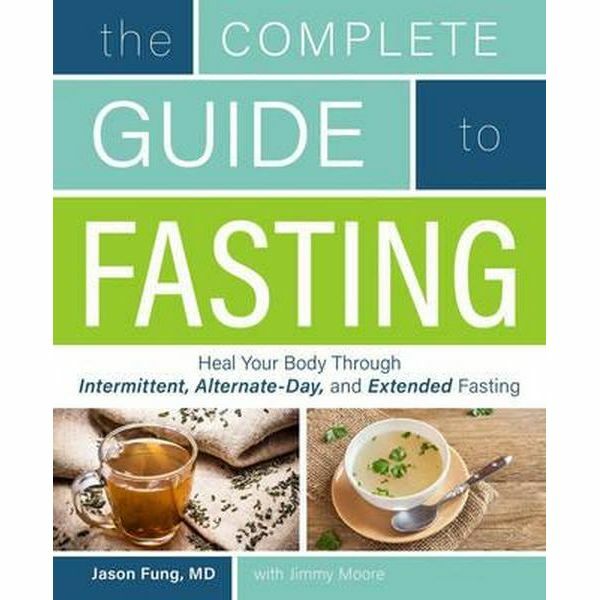 The details of some of these benefits can be found in the book The Complete Guide to Fasting by Jimmy Moore and Dr. Jason Fung. You will learn, for example, that you can have cups of unsweetened coffee or tea while fasting, or even cups of bone broth. Aarn Farmer, Jimmy Moore’s podcast guest, recommends listening to a lot of podcasts about intermittent fasting or about the ketogenic diet to keep you inspired. I’ve been doing that myself. I listen to Jimmy Moore’s Fasting podcast— new episodes come out on Fridays— on days when I’m doing intermittent fasting and his other health and diet podcasts on other days. Jimmy Moore’s podcasts are great because he often has medical doctors as guests or co-podcasters, and he frequently talks about medical research of interest to those who fast or follow ketogenic diets. I must admit I am not that good at fasting yet. I often don’t fast for as many hours in a day as I had planned— I usually eat lunch around 11 or 12, and I have a hard time with not snacking after supper. I also haven’t finished any longer fasts yet. But I am hopeful I will improve. The amount of intermittent fasting I’m doing at the moment is helping to bring my blood sugar down. Not into the normal range yet, but it’s better than it was.